Do you feel guilty tossing those spent toilet paper tubes into the recycle bin? Check out some crafty ways to reuse them instead! For most of us, toilet paper is one of the areas where there isn’t a green alternative that works for our families. I know that there are alternatives to using toilet paper, but let’s be honest here, guys. Not everyone is ready to make that leap, and when you can’t reduce waste, reusing whatever you can is your best option. There also might be a bit of an ick factor when it comes to reusing toilet paper tubes, and that’s totally understandable. If you’re just not comfortable crafting with them, you can also use paper towel tubes for these. If your family doesn’t do the paper towel thing, I bet you know someone who does who would save a few tubes for your crafty needs! Those cardboard tubes might look humble and unassuming, but there are actually lots of fun ways that you can craft with them! Check out some of these awesome toilet paper tube craft ideas! 1. Cardboard tree. 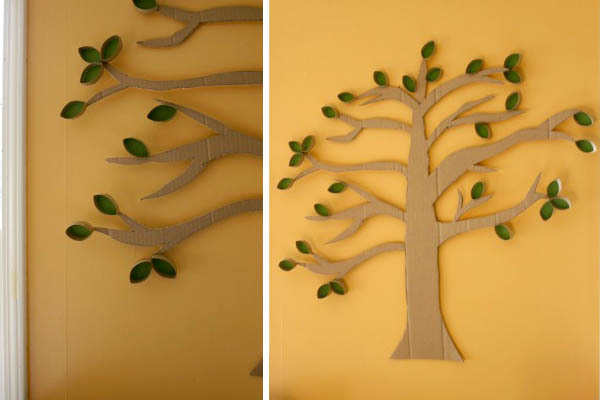 Adorn your wall with an upcycled tree made from reclaimed cardboard and paper towel tubes. 2. Mod wall art. This is a more retro take on toilet paper roll wall art. Don’t you love the white on white? 3. Flowers. I’m loving these cardboard flowers by Michelle Made Me! 4. Seed starter pots. Green Diva Mizar shows you how to transform paper tubes into plantable starter pots for the garden. 5. String lights. Combine your tubes with some pretty paper and a strand of LED lights to make a pretty hanging light decoration! 6. Upcycled rockets. 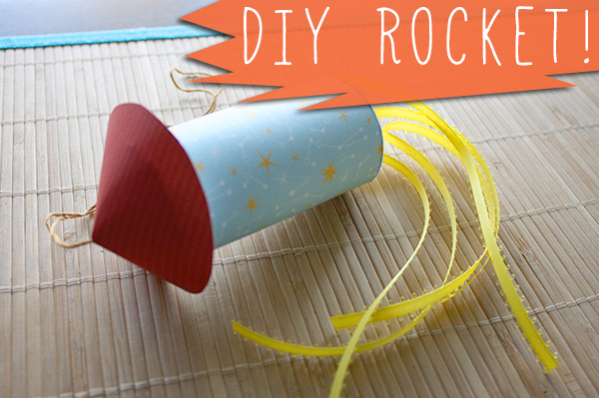 Grab some pretty paper and your hot glue gun to make toilet paper tube rockets! 7. Play houses. She’s calling these tube houses a holiday village, but if you change up colors, you can really use these any time! There are no instructions, but to make the roof, you can follow the same directions for the tops of the rockets in the previous tutorial. The rest is really up to your imagination! Grab paint, glue, and glitter, and have fun with it. 8. Friendship cuff. Turn those paper tubes into sweet friendship bracelets! 9. Faux iron gate. Got a huge stash of paper tubes? This DIY gate decoration is an epic way to upcycle them! 10. Upcycled owls. These sweet toilet paper roll owls are so simple and adorable! 11. Biplane. Grab an old cereal box to go with your reclaimed paper tube, and turn that cardboard into a super rad biplane! 12. Race cars. How sweet are these paper tube race cars? This page is not in English, but there’s a translate option, and the translated tutorial is pretty easy to follow. 13. DIY Pincushion. 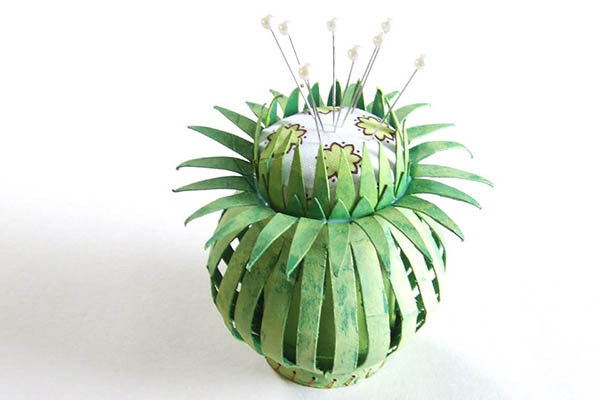 Can you believe that this pineapple pincushion by Michelle Made Me is made from an old toilet paper roll? 14. Favor boxes. Use old paper rolls to tuck away sweet little party favors. 15. Snowflakes. 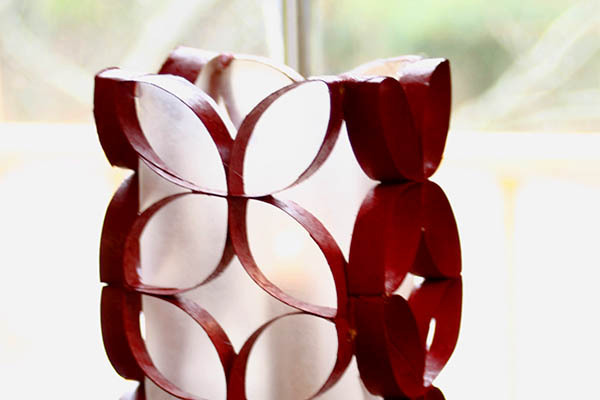 Cut up toilet paper tubes to make your own upcycled snowflakes that won’t melt! 16. Birthday crowns. Skip the boring party hats and use old paper tubes to make totally awesome crowns for your kiddo’s next party! 17. Lincoln Logs. 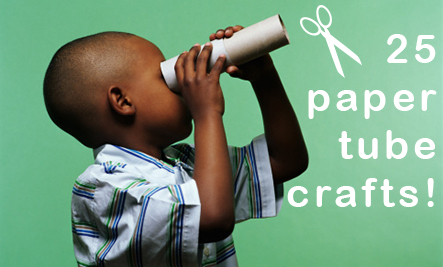 Just a few snips transform paper tubes into fun Lincoln Logs that your child can play with. 18. Dioramas. Put your fine motor skills to the test! Grab an Exacto blade and try creating some of these delicate scenes inside of your paper tubes. 19. LED candles. Cover a boring LED candle in cut up paper tubes to make them totally fab. 20. Pixel art. Check out this awesome tutorial for making 8-bit inspired wall art from paper tubes! 21. Mini Lanterns. The Crafty Crow made these lanterns to adorn a Christmas tree, but you could use these as a decoration for a garden party, too! 22. Art caddy. Get organized! You can use paper tubes to make an upcycled organizer for your pens, pencils, paint brushes, and any other tall, skinny art supplies. 23. Upcycled bouquet. Make some paper tube flowers to fancy up the table at your next dinner party. 24. Wig. This upcycled barrister’s wig from toilet paper tubes made me laugh pretty hard. 25. Marble slide. This Rube Goldberg-style contraption looks like it would be a lot of fun to make with your kids! Have you done any crafting with reclaimed paper tubes? I’d love to hear your ideas in the comments!